Dalet Enterprise Edition has been incredibly open and agile in meeting our functional and technical requirements, which include Media Asset Management and a large number of third-party system integrations. 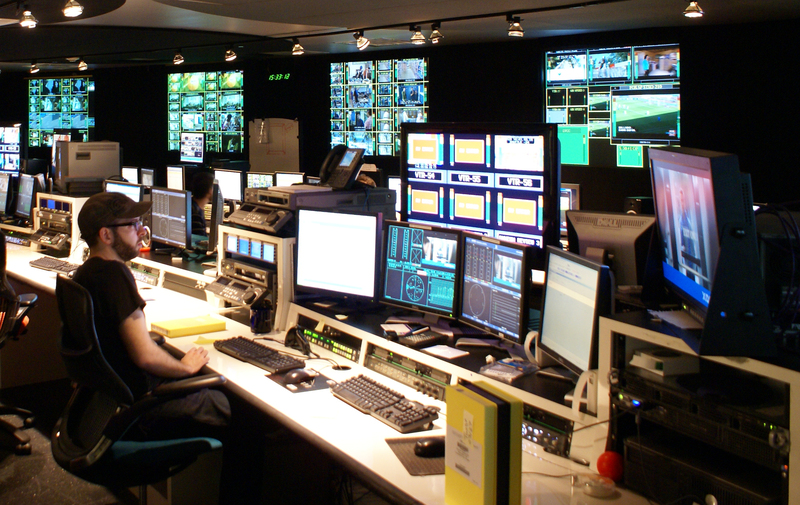 Dalet Digital Media Systems has announced that Shaw Media, one of Canada’s largest privately owned television broadcasters, has begun deployment of Dalet Enterprise Edition at its Television Playout Center in Toronto. Eighteen of the country’s most popular specialty channels, including HGTV Canada, Food Network Canada, History Television, and Showcase, originate from the Center. The deployment was executed in cooperation with broadcast consultant and reseller Majortech; it unifies all of the Toronto facility’s production, playout, and distribution systems within a robust and flexible framework for media and metadata management. Dalet Enterprise Edition includes a comprehensive MAM platform with a centralized content catalog and powerful workflow engine. Dalet also packages Enterprise Edition with specially designed toolsets to boost productivity in production, programming, and archiving workflows. Accessible from a single user interface, these purpose-built tools enable a more collaborative workflow. Dalet Enterprise Edition is a flexible, highly scalable media asset management platform that melds different production workflows, multiple formats, and diverse systems into a unified, managed environment that improves productivity and drives business. Built-in tools streamline production and distribution workflows in sports, news, and entertainment programming. Dalet Enterprise Edition also provides a foundation for incorporating other systems and software so facilities can design the media universe of their choosing. The SOA-compliant web services APIs and multiple exchange methods ensure fluid media and data movement with life cycle metadata tracking. Shaw is a diversified communications and media company, providing consumers with broadband cable television, High-Speed Internet, Home Phone, telecommunications services (through Shaw Business), satellite direct-to-home services (through Shaw Direct) and engaging programming content (through Shaw Media). Shaw serves 3.4 million customers, through a reliable and extensive fibre network. Shaw Media operates one of the largest conventional television networks in Canada, Global Television, and 18 specialty networks including HGTV Canada, Food Network Canada, History Television and Showcase. For more information about Shaw, please visit http://www.shaw.ca. Dalet solutions enable broadcasters and media professionals to create, manage and distribute content to both traditional and new media channels, including interactive TV, the Web and mobile networks. Dalet combines into a single system a robust and proven Asset Management platform with advanced metadata capabilities; a configurable workflow engine, and a comprehensive set of purpose-built creative and production tools. This integrated and open environment enables end-to-end management of the entire News and Sport and Program content chain, and allows users to significantly improve efficiency and to maximize the use and value of their assets. Dalet’s solutions are delivered through a dedicated Professional and Integration Services Department to ensure the highest possible standards. Dalet systems are used around the world by many thousands of individual users at hundreds of TV and Radio content producers, including public broadcasters (ABS-CBN, BBC, CBC, DR, France TV, RTBF, RFI, Russia Today, RSR & TSR, RT Malaysia, VOA, WDR), commercial networks and operators (Antena 3, Canal+, FOX, eTV, Mediaset, Orange, Time Warner Cable, Warner Bros., Sirius XM Radio) and government organizations (Queensland JAG, Canadian House of Commons, The European Commission). For more information on Dalet, please visit http://www.dalet.com.